What's The Best Adjustable Wrench Available Today? What’s The Best Adjustable Wrench Available Today? As a plumber, getting the best adjustable wrench is a tiresome exercise, especially if you’re based in a heavy-duty environment. As a plumbing supply company, we know this first hand. Wrenches come in various sizes, types, lengths, and shapes. Adjustable wrenches play a critical role in tightening or loosening bolts and nuts. Overall, it just makes plumbing work easier. 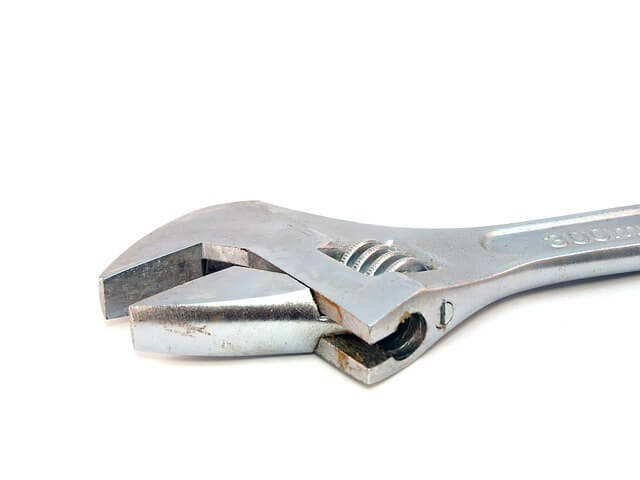 Over the years, several manufacturers have constantly tried to come up with the best adjustable wrench that has a larger jaw capacity to help facilitate the execution of various plumbing tasks. Search for great (and credible) reviews that have not been manipulated in any way. This will help you determine the best adjustable wrench that’ll meet your expectations. Establish whether the wrench is designed in a way that’ll fully support your needs as a plumber. Determine if its durability meets your expectations and supports your day-to-day duties, which may range from plumbing, mechanical use, and repairs, and possibly furniture manufacturing and fixes. In the current market, there’s a wide variety of adjustable wrenches. Nonetheless, Channellock 8WCB is the best adjustable wrench that’s uniquely designed to handle multiple tasks. The wrench has non-protruding jaws that are fundamental in providing greater capacity. This reduced head width improves its performance and reliability, especially in confined spaces. The wrench is durable and hardly shows any wear even after a couple of years of use. Channellock 8WCB has blue grips that ensure durability and enhance comfort during plumbing work. This model has a smooth turn thumb. Its longer jaws are vital in increasing gripping, thus preventing nut round off or slippage. The wrench has a soft handle, thus making it easier for you when executing your plumbing tasks. The softness also allows you to apply excessive force without necessarily getting hurt. It has a tight, but thicker high quality jaw, which ensures efficiency. The Channellock model has a steady handle that enables you to have a larger amount of muscle. As we can see, the best adjustable wrench has different uses. It’s sturdy, multipurpose, high quality and durable. It’s specifically designed to help you carry out various plumbing tasks. Channellock 8WCB is the best adjustable wrench available in the market today. With this 8-inch wrench, you can tighten pipes, nuts as well as tube diameters, thus supporting your day to day activities as a plumber. Contact us today to see our plumbing supplies in NJ. We’ll set you up with everything you need to do your job.